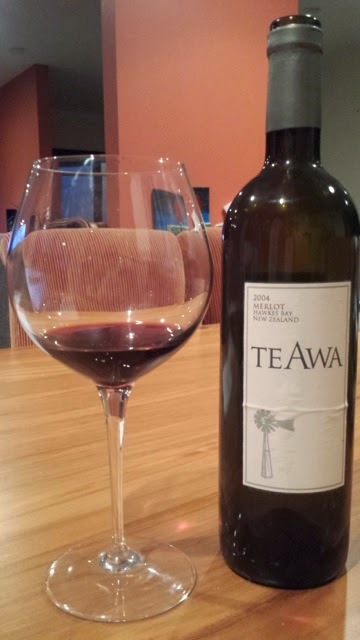 From the Hawkes Bay in New Zealand, this beautiful ruby red coloured wine from Te Awa Winery has a leather nose, is very tannic and dry and has a lovely plum flavour. It is very enjoyable to drink and despite being labeled a Merlot it is actually a blend of Merlot (85%), Malbec (6%), Cabernet Sauvignon (5%), Cabernet Franc (3%) which provides a good level of complexity and interest. Drinking well now and the structure feels solid to last for a number more years. 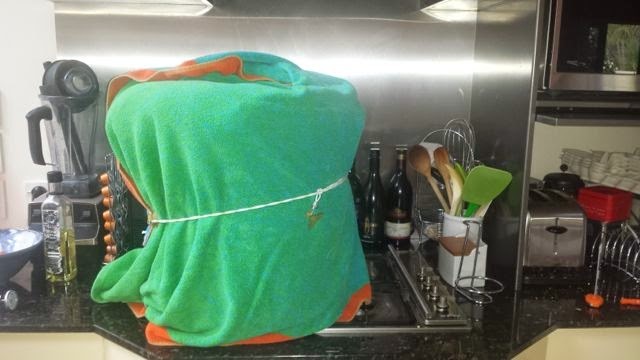 As I previously posted, I have started brewing beers using the Brew In A Bag (BIAB) technique. 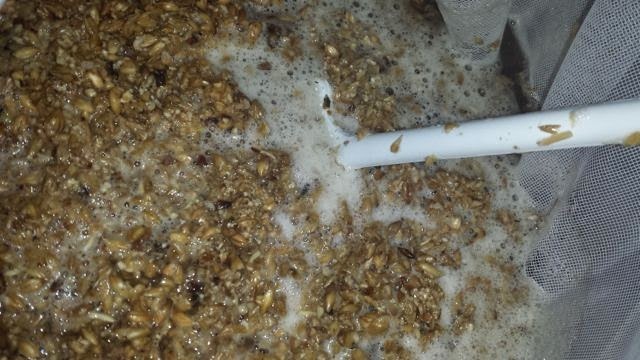 A key component of making beer is being able to cool the wort (unfermented beer) down quickly to get a "cold break" and reduce the risk of infection. 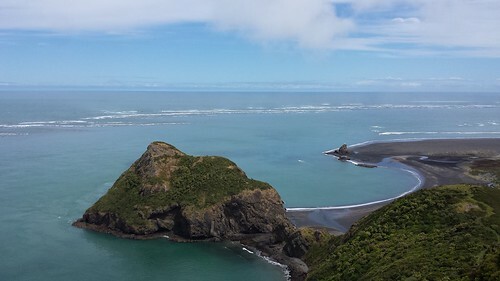 Initially I thought I would simply use an ice bath but when you end up having over 16 litres of liquid in a pot of 39cm diameter pot it is not the easiest to manoeuvre. There are a number of alternative options commonly used for cooling down wort with the two key ones for home-brewers being immersion chillers and counterflow chillers. Counterflow chillers adopt a tube in a tube design where you flow the wort through a (usually copper) inner pipe while cold water flows through the outer pipe in the opposite direction. Whilst this is more effective than an immersion chiller, it was going to be more complex to get this working with my setup and it does come with higher sanitation requirements due to the wort travelling inside the tube. Immersion chillers adopt a simpler approach whereby you flow cold water through a coiled (usually copper) pipe that is placed in the wort. I decided to go with this approach. I looked around to buy a pre-made wort chiller, but in New Zealand there weren't too many available and those that were I thought were overpriced for the 15 metre length I decided I wanted. I therefore opted to make one myself. 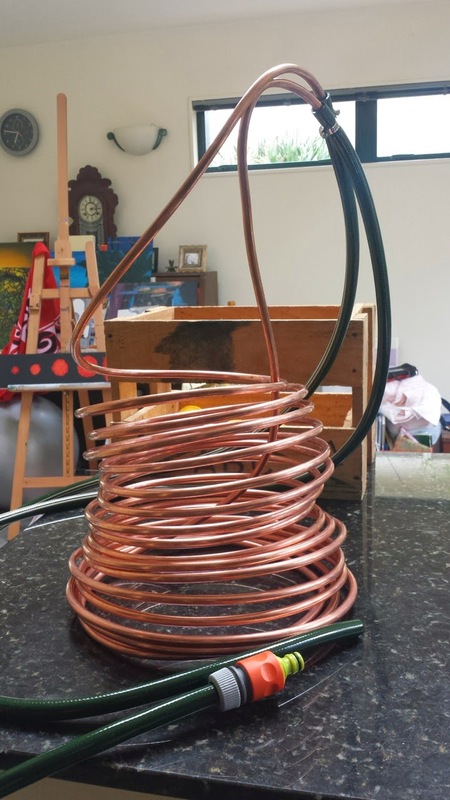 Finding copper pipe turned out to be harder than I thought, but I ended up buying 15 metres of 9.52mm (3/8 inch) copper coil from TradeMe (New Zealand's equivalent of eBay). The seller offered to coil this into a diameter of my choosing to send it (which was great), and so I opted for a 25cm diameter since this was a good size for my 39cm pot. I bought two 2 metre lengths of garden hose, two hose clips for attaching the hose to the copper pipe and connectors to attach one of the hoses to another hose connected to the tap. The hose clips were just big enough for the hose and this proved challenging in terms of them initially slipping when trying to tighten them but I finally got there with perseverance and some pliers. In terms of the hose connectors there wasn't one connector that alone had a suitable attachment for connecting to the hose attached to the tap so I had to get two different ones (no biggie). I've also attached the cold water to the pipe that goes to the top coil. My chiller doesn't look as elegant as the one in the YouTube clip but it does the job. 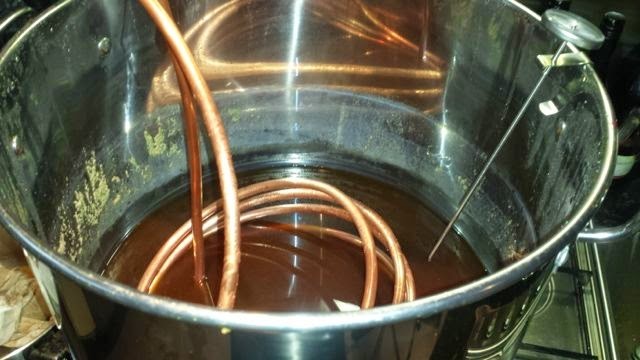 When I did my first brew I found the wort chiller did leak quite a bit, but after tightening up the connectors some more prior to my second brew I got no leakage most of the time until I did increase the water flow significantly and then a little bit came out. 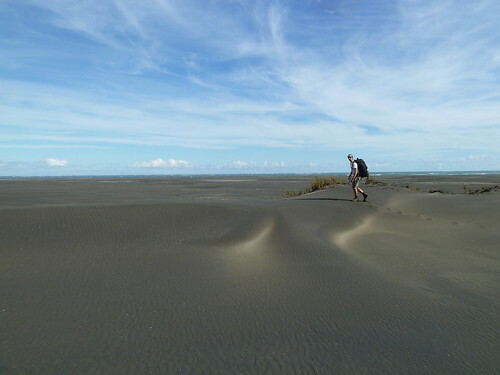 Opanuku Pipeline Track - This was mainly a stone path and not the most exciting of tracks but it got more exciting near the top with decent mud pools to negotiate. 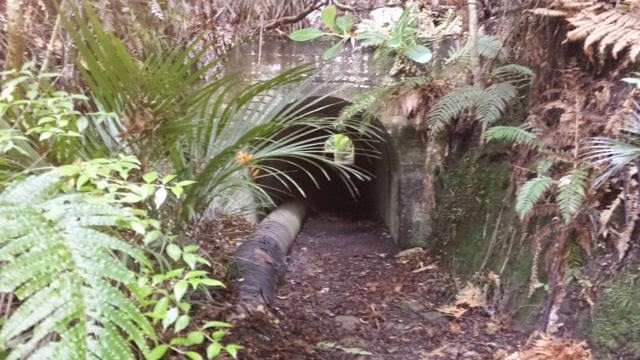 The tunnel was the highlight. 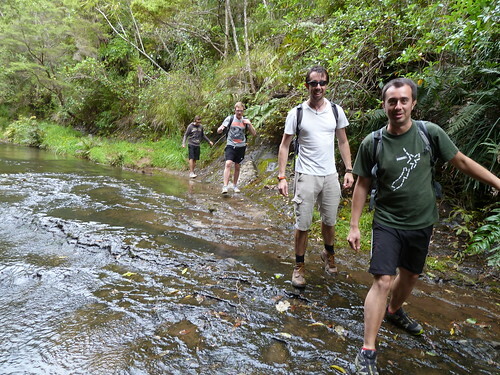 Sharp Bush Track - This was a nice sedate wander through the bush with a smidgen of mud with a river crossing at the end (that I decided to do for completeness). 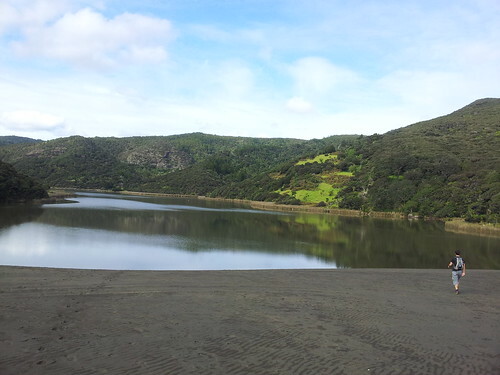 Lots of beautiful kauri. Spragg Bush Walk - This was a dentle wander through the bush. It was flat for a decent proportion. 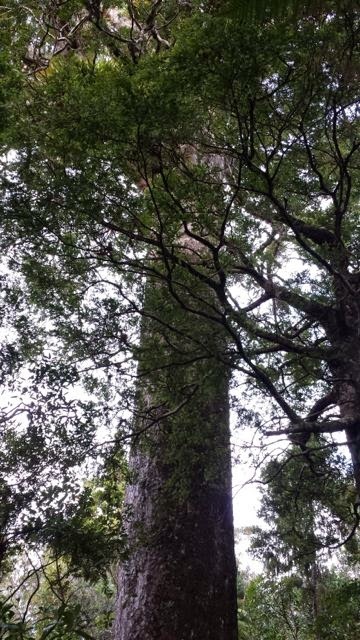 One huge kauri on the walk. Takes a while to walk to each of the exits. 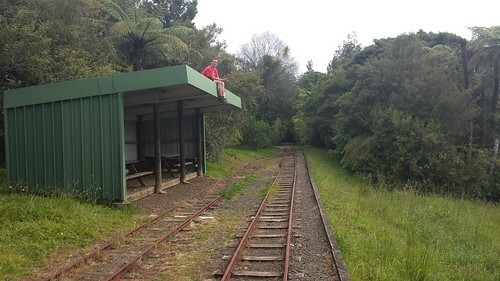 Goodfellow track - Lots of steps. 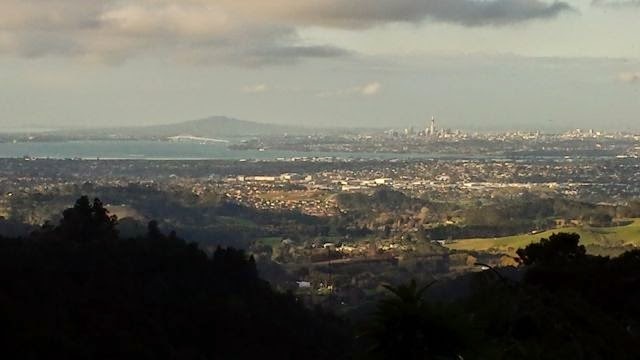 Nice view looking back to Auckland. 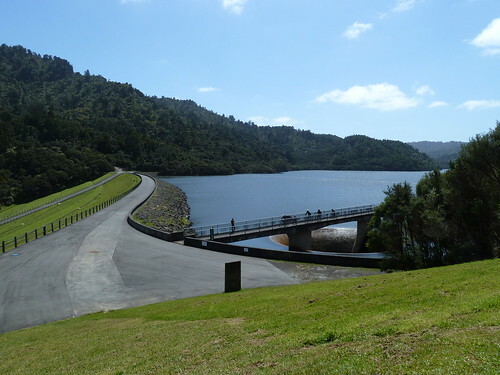 Pretty walk. 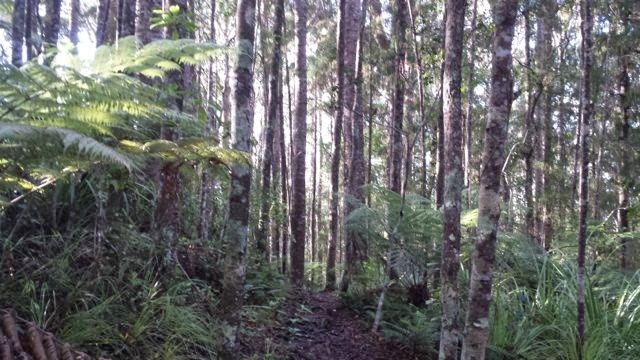 Large Kauri Track - 2 min return. 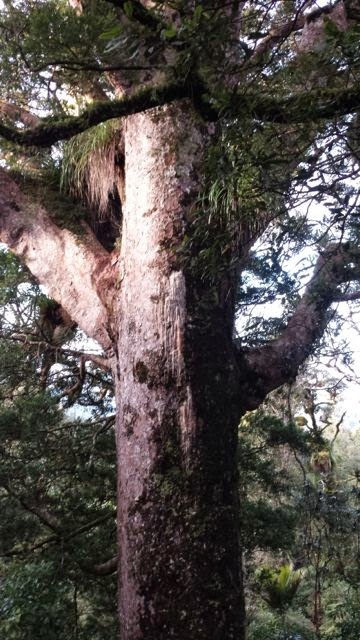 Nice kauri. 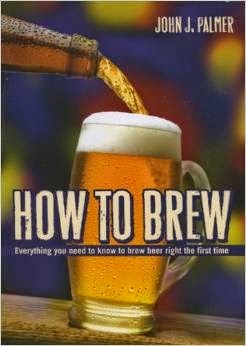 I have done a reasonable number of beer brews using kits, but decided this year that I really wanted to do a brew from scratch. After a bit of research I found that Brew In A Bag (BIAB) is one of the most common ways of brewing so I decided to give it a go. 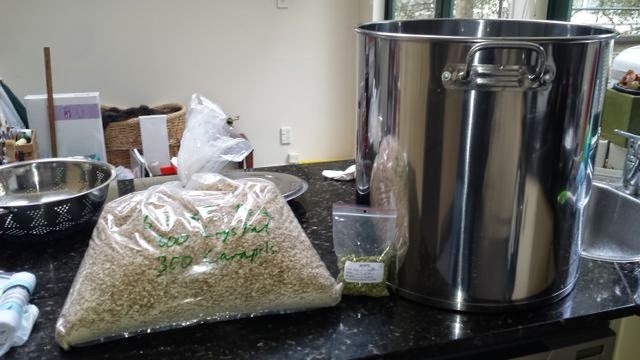 Since I had the equipment required for brewing kits I just needed to supplement this with a huge pot, a wort chiller, a grain bag, hop bags and a fake bottom for the pot (of which I used an upside down metal colander). 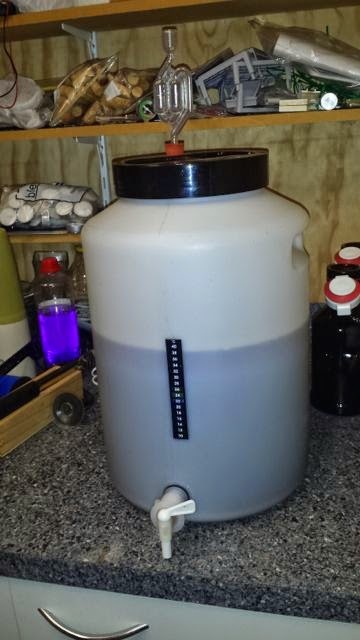 I bought a 50 litre pot with a 0.5cm thick base (I suspect it's a bit thinner) on Trade Me and made a wort chiller (I will write a separate post about that). I purchased all the ingredients from Brewers Coop and they also combined all the malts. The pot is rather huge on the stove. I put 26 litres of water in the pot (with fake bottom inserted) and it took about 30 mins to get up to 68 degrees Celsius. I then turned the heat off and put the grain bag into the pot (with the top of it coming over the sides, poured the malt into it and left it to sit (with some insulation of towels) for 90 mins. The grain bag was unfortunately a bit too small so I couldn't have it over all edges, but it was good enough. I then turned up the heat to get the brew up to the mashup temperature of 76 degrees Celsius, whilst stirring along the way. This was followed by removing the grain bag from the wort (the name given to boiled up malt) which was quite heavy and made more difficult by the pot being up high on the stove and also wanting to hold it there for as long as possible to get the wort pouring out of it straight back into the pot. I got about another couple of litres by just leaving the bag sitting in another pot (with another fake bottom), but didn't apply pressure since I was worried that over extraction would taint the flavour. The fake bottom was also removed at this point (after a bit of a struggle fishing for it). I boiled up the wort and 30 mins later added 14g of hops (for bitterness), 30 mins later added another 14g of hops (for flavour) and 15 mins later added 28g of hops (for aroma); given I had acquired 73g I had some left over. I put each of the hops into hop bags so that I could easily remove them at the end of the brew. After 80 mins of boiling, I added a teaspoon of Irish Moss and inserted the wort chiller so that it could be sterilised for 10 mins before I turned it on. At the same time I turned on the wort chiller I removed the hop bags. The wort chiller took the boiling wort to 22 degrees Celsius in about 15 mins. It is important to cool quickly to get a "cold break" and reduce the risk of infection. With the help of Jane, we then strained the wort into a cleaned and sterilised fermenter. The wort in the pot was very heavy and it was quite a struggle. I suspect I should look at syphoning for future brews. I then took a hydrometer reading (1.06 OG) and added some rehydrated Safale US-05 yeast. 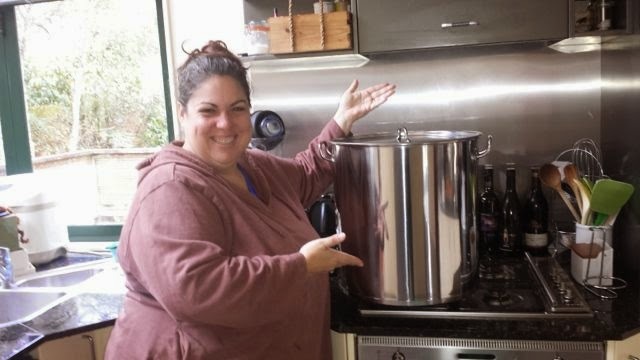 The resulting brew was about 16.5 litres (from the 26 litre starting point. The resting temperature was initially 24 degrees Celsius, but it has already dropped to 23 degrees and should come down overnight (18-20 is where I tend to like it) and hopefully the fermentation will start tomorrow. All going well, I should be bottling in 2-3 weeks.